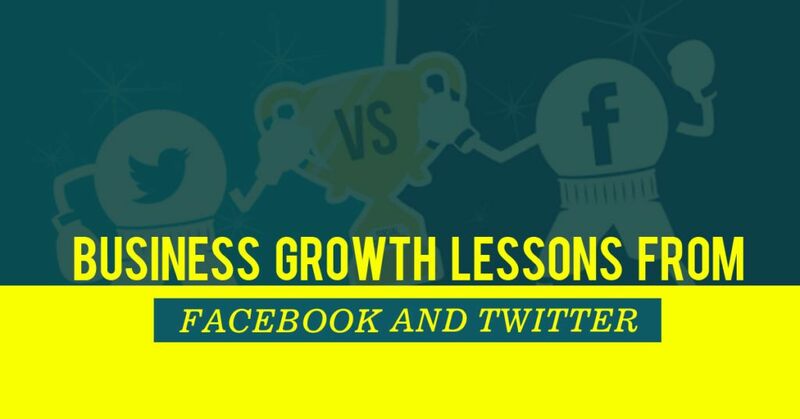 I want to talk about an important business growth lesson I’ve taken from Facebook and Twitter. This is crucial for every coach, speaker, trainer, author or consultant looking to build a successful business. Oftentimes we find ourselves in a situation where we go from being popular to fizzling out. Actually, the whole thing could be about sentiment, where something that holds a value from past experience brings warm memories so we want to stay with them. A lot of things that have sentimental value are usually things that were brilliant or worked very well in the past. Let’s talk about Facebook for you understand what I mean. For instance, I dislike something about Facebook, they always make changes to the interface, profile looks or how the page looks, bringing in new things to get rid of some other things. Pretty much I remember back in the day, I would get very upset and say “For goodness sake, if it’s not broken then don’t fix it.” That’s one thing I didn’t like about Facebook then. The moment you get used to something, and how it works, Facebook then make changes. The problem for many of us here is that we have to keep on relearning the new ways that the videos work on Facebook, the new sizes of cover photos and the other changes that are consistently happening within Facebook. Now let’s switch and look at Twitter, and there’s one beautiful thing about twitter and that’s the fact that Twitter hasn’t changed much for a very long time. You know it’s a hundred and forty characters and they stuck to that. They kept it brief and for a very long time this worked like crazy and Twitter just exploded. You can’t type so much and it’s just this brief statements. Now, these two companies were growing about the same time, both of them were growing very quickly. At some point, Twitter became the preferred social media platform for a lot of people. You know it’s very brief, there’s not a lot of long text and things like that. It was very popular and seen as more user-friendly. I never got twitter but I do know that happened on Twitter for a very long time. Although I use it now! However, Facebook on the other hand, was consistently evolving and changing stuffs which upset people like me every time they did. Today, a lot of other social media platforms have come and gone while some are here to stay. But the key thing is Facebook continues to get bigger than all. Facebook now has 2 billion users out of 7 billion people on the planet. Now that is huge. People are still engaging and using Facebook. Although Twitter users are growing too but a lot of people who are using it have moved to other platforms like Instagram which has surpassed Twitter in number of average users monthly. So, What Makes this Difference? The fact that Facebook was consistently willing to change makes more successful than the others. And two things drives change. What used to work that’s no longer working – this is where you have the sentimental thing where twitter was “we keep it brief, that is what we’re about and we are not going to give people the opportunity to write long text because that’s not what Twitter is”. And for a very long time, that was okay until the marketplace wanted more but twitter had a sentimental attachment to what made them twitter. What is the company’s vision? – What made Facebook consistently change things is the vision they have for the future. They were always adapting, I mean look at Facebook groups right now and the amazing changes that are happening in them. Why? Because of the vision, Facebook has for the future. Now how does that relate to you and what you are doing in your business or in your career as a coach, speaker, trainer, author and consultant? The key thing is for a lot of us, we stick with what used to work and how it worked and how much of a difference it made. When it worked, it was brilliant and it made a big difference. But sometimes the market evolves; actually, the market evolves all the time. The danger is when we are sentimentally attached to a system, a process, a program or a product that you had or have that was making a big difference a year or two or three ago. And you refuse to let go even though the market has moved on. This happens for a lot of us. I have been guilty myself. It’s so easy to get sentimentally attached to how things used to be and try to bring the past into the present even though we have got to consistently adapt and move on. The challenge with that is it’s so easy to find yourself becoming obsolete if you don’t notice and then make radical changes to make sure you are still relevant today. The question you need to ask yourself in your business is “are you still relevant?”. The products that you are offering that were brilliant two years ago, the program that you ran that was awesome a year ago or the excellent approach that you used six months ago, ask yourself: “is it still working? Will it still be working in 6 months time from now and do I need to make a business decision and make changes? Do you want to be like Twitter and just stick to what used to work and stubbornly refuse to adapt until your business starts losing out? Or do you want to be like Facebook who will quickly identify these things and then make those changes that upset us initially but help us because they’re already preparing us for the future? So the first thing here is identifying what used to work brilliantly but not anymore and the second thing is what are your plans for the future? Does this program, this solution, this product or this approach fit into the future that you are envisioning or looking to create? These are some crucial questions you need to ask yourself and identify the changes you need to make in your business. Now bringing that back to ask here at Profit From Coaching, one radical change we are making based on the feedback is we are no longer running our weekly webinars. When we started Profit From Coaching in September 2014, one of the core elements of this community, one of the biggest things that we offered was our weekly online classes. They were hugely popular. We would have 200 – 500 people attend these classes. It was hugely popular and there were so many people doing amazing things in this space right now across the globe who were plugging in and attending our online classes. I’m really excited about the difference that our weekly classes made in the businesses of hundred of coaches, speakers, trainers and consultants around the world. However, for the future that we are creating and the changes that are happening, we are no longer having these weekly classes. I paid attention to the numbers. I understood what was going on but also looked at where we are going. Our mission is to help 1000 coaches build their businesses in the next 5 years and I realize that this weekly webinar program that worked brilliantly for us two years ago does not fit into the future that we are creating. So, from this month we are no longer running this weekly class. However one of the things that I am doing is to have the content somewhere. It will include all the webinars that we have run from between September 2014 to June 2017. We will put them together and make them available to you in some form or another. Also, there’s the Profit From Coaching Academy. If you haven’t logged in recently, go ahead and log in and there are some of the training in there. There’s so many valuable training there, I encourage to go ahead and take advantage of it. It’s available to you free. Now one thing that I’m looking to do but I really need to hear from you. I’m just going to ask here out-rightly and I need you to let me know in the comment section if you do want to participate. I have a monthly mentoring call that at the moment I’m looking at having exclusively for the people who I work with it, who are in my paid mentoring program. I just want to find out if you will rather do this than the weekly webinars because I do understand that you have a lot going on. You may not have the ability to show up for the weekly calls. So, what we are going to do is to put the content somewhere and then those of you who are interested can take advantage and go through it at your own pace and in your own time. However, we’re looking to do monthly mentoring calls. which is about 12 calls a year. Would you be willing to schedule into your calendar and show up once a month to have me share with you strategies and tactics that you can use to grow your business? So, I’m looking at running this. I’m looking at putting this out there but I need to know that there’s a commitment from you to actually show up and participate in these classes once a month. If I do see there is enough interest then I am going to do this. If not I’m just going to restrict this and just keep this to people who are in my paid mentoring program and work with them that way. So, the key lesson to learn here is, just like what we are doing right now, what I’m doing here is using my own medicine. I recommend that you sit back look at your business, don’t be sentimental. That something was brilliant before and it made a big difference does not mean that you should be doing it today. If it does not fit into where things are and if it does not fit into the vision that you have basically – then you need to be Facebook and not a twitter. I am thinking of opening up my monthly mentoring call to the general public. So, go ahead and let me know in the comment section below. I probably will do another post where I will specifically ask questions just to see if we do get enough numbers. Remember, don’t be sentimental as far as your business is concerned. If it used to work before and it’s no longer working right now, make those changes. Be a Facebook and don’t be a twitter.